Congratulations! Your hobby or profession is now more legal and less shady than it was last week. On Monday morning the Supreme Court delivered a gift to sports bettors everywhere. They declared a 1992 law that made it impossible for states to legalize sports betting unconstitutional. That means that states other than Nevada are now legally able to legislate to allow sports betting in their states. New Jersey, who was the driving force and has been itching to legalize for years now, will be ready to go right away. A few other states are right behind them because they have the framework in place, and estimates are that as many 20 states could have legislation in place within 18 months. We are standing on the edge of a whole new world. What changes today? : The simple answer here is nothing. 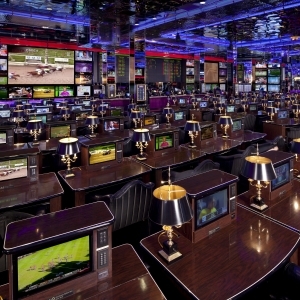 Despite what some people are saying, this doesn't actually make sports betting legal everywhere. You are no more able to place a legal bet in North Carolina or Wyoming than you were on Sunday. This just means that states are free to start changing laws. It's the beginning of a wave of change, but it's not some rogue wave that is going to overwhelm everyone out of the blue. The Feds likely aren't finished: There is an important distinction to be made. The Court struck down the Professional and Amateur Sports Protection Act. They did not say that Congress couldn't legislate sports betting. Lobbying is fast and furious right now, and you can be sure we will soon see bills emerge to get the federal government involved again. We know how unpredictable that arena can be, so it's hard to know what that will mean - though it is far more likely at this point that it will be regulation instead of prohibition. Leagues are scrambling: The leagues were on the losing side of this case, though NBA and MLB in particular were softening on that stance significantly despite their official opposition. Now those leagues need to figure out what this means for them and, realistically, how they can best profit from it all. There are plenty of optimists - Mark Cuban figures franchise values could double, which seems wildly optimistic, but the upward trend is surely accurate. The more enthusiastic the leagues become, the more exciting it is going to be for all of us because they will drive growth in the sector. The leagues typically collect the best statistics and have access to the best information. The opportunities they could create in the sports betting sector through leveraging that information is incredible. But the NFL in particular has long been frankly ridiculous when it comes to views on sports betting, ignoring how much of their growth and success is due to the action people have on their games. If they put their strength towards opposing progress then they could have a big impact - especially if they actively lobby. Competition and consolidation: We are already seeing talk of mergers and buyouts in the bookmaking industry as companies scramble to position themselves to cash in on what could be a massive payday. This will only intensify in coming months and years. The more competition we see the better - competing for our business never hurts sports bettors. Consolidation, on the other hand, could be a concern - if one or two big entities control the game then their motivation to offer incentives to us is minimized. More fingers in the pie: Sportsbooks make a lot of money, but despite what some people perceive they do it slowly. Their profits come from taking a little piece of the action, and that adds up when there is lots of action. One challenge with legalization and government involvement is that there are more people who want to be paid. Leagues have suggested they want a piece, too - the idea of a 1 percent 'integrity fee' has been floated. A one percent fee doesn't sound like much, but it would represent about 20 percent of the total revenue of books. That's extreme. The more groups that want a slice of the pie, the bigger the pie needs to become to make everyone happy. That could mean higher prices for bettors in terms of the rake they have to pay. Just think of states where marijuana has been legalized - you can buy it legally now, but it certainly hasn't been discounted from what people used to pay their dealers. Making money is tough enough in sports betting when you have to win 52 percent of your bets to break even. If breaking even became harder, that would take some shine off legalization. Media can quit pretending: The media stance has certainly softened in recent years when it comes to talking about sports betting. It used to be a forbidden topic, but now ESPN and others have begun embracing it. We've long seen guys like Al Michaels and Brent Musburger pretending like they weren't talking about betting when they obviously were. It's all ridiculous, and now that can all change. Just like media coverage of fantasy football has exploded in recent years, this change will have a profound effect on how openly the media discusses sports betting, the sophistication of the coverage we get, and the impact that can have both on the betting market and the betting opportunities available. More information is always better for bettors, and we are certain to get that. Doc's Sports handicapper Tony George summed it up perfectly: "National TV and radio mainstream media can now be completely unfiltered because they KNOW their demographic is watching and listening to who the experts like in games, and that demographic is gambling those games. This has been the worst kept secret in American sports media, bar none." Integrity arguments are stupid: A big argument leagues and other opponents of this change make is that the integrity of sports is threatened because bettors will fix games to profit. Those people watch too many bad TV shows. While anything is possible, the idea that legalization, more people involved in the market, the level of technology that we have now and will have going forward, and government oversight, makes it more likely for foul play to happen are, frankly, insane. As George says, "No one wants a more fair game than oddsmakers. If anything it will be more heavily scrutinized now." More is better: If you are reading this then chances are good that you are comfortable with betting offshore and have been betting on games all along. A lot of people aren't comfortable with that, though, so they aren't betting - or at least aren't betting as much as they ideally might. Legalization improves access and removes stigma, and both things will bring many more people into the betting market. More bettors and more money mean truer lines, lines on more things, and more opportunities for the bettors willing to do their homework before placing their bets. If you are interested enough in sports betting to read this article to this point then you are probably going to benefit from the expanded market in some way. We don't know anything yet: As exciting as this is, and as many positives as it presents, we are only at the beginning of things. How many states will offer betting? Where? How aggressively? Which sports? What companies will be involved? What will the costs be? How will leagues respond? We have far more questions than answers at this point. The good news, though, is that the answers are, for once, likely to trend in a positive direction. This is a good thing: The bottom line is this - Monday was a very good day for people who like sports betting. A few years from now we are likely to look back on that day as when things became different and, on balance, significantly better. I'll give the last word to Doc's Sports handicapper Raphael Esparza , because I couldn't sum up the overall impact more succinctly or effectively; "I'm just happy that I can say my career is in the sports betting field and not look like I'm the biggest scumbag.' Sports bettors have always known the best way to enjoy a game to the maximum. Now the rest of the country gets to start to see that.